To provide local people with an opportunity to share and celebrate their cultural heritage. A network of volunteers to record cultural heritage on tape and film. Elderly members of the community were encouraged to share their stories with the younger generation. This material is available to the general public via the School of Scottish Studies, Argyll and Bute Council Archive and the National Library of Scotland. The project culminated with a community publication. People living in the Dalriada Project area have a rich cultural heritage. Landscape changes are a major influence on their lives, particularly in the last 200 years with the development of agriculture, forestry and the Crinan Canal. Peoples’ stories, photographs and archive materials tell of special places and events, local characters, traditional skills, family and community life. The secrets of the landscape and its people are also reflected in the place names (Gaelic, Norse, English) and spoken words still used today. Older people with living memories of cultural heritage are dying out. Population changes mean that communities and families are dispersed and cultural heritage not shared. Very little oral history had been recorded. Although the ancient landscape is well presented in Kilmartin House Museum, there wss a need to present more recent history – the working, family and community life of local people. There has also been a large decline in speakers of the Gaelic language. Some community traditions remain – the Mid Argyll Show, Gaelic Choir, the Mid Argyll Pipe Band, each village has a community event. This cultural heritage needed to be captured, shared and brought alive for new generations, new communities and visitors before it was lost forever. The community history project made a major contribution to engaging local people in the Dalriada Project. It underpined every other project by providing local people an opportunity to share and celebrate their cultural heritage. Key features of cultural heritage identified for use in interpretation. 6 local schools involved in project. 2 establishments working with older people involved with project. Also 'Stronefield and other Deserted Townships' by Jean McLeod available from Argyll Book Centre and Kilmartin House Museum (01546 510278). 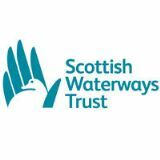 Partners: Argyll & Bute Council, Kilmartin House Museum, The Waterways Trust Scotland, British Waterways Scotland, Local schools and communities, storytelling organisations. There are some exciting outputs from the Community History project including some innovative work from the schools programme, e.g the stained glass window installed at the Mid Argyll Hospital led by 'A Touch of Glass' artist Kirsty Brady. By conducting interviews with local residents, volunteers have helped us create an oral history archive. 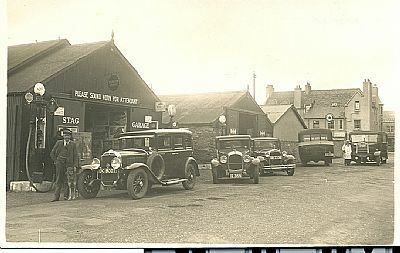 The archive is now available to the public through the School of Scottish Studies and Argyll and Bute Council Archives. The equipment used for this project and for other aspects of the Dalriada Project are available for use free of charge by community groups and heritage projects within the Mid Argyll area. 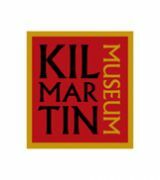 This equipment is held at Kilmartin Museum (01546) 510278.